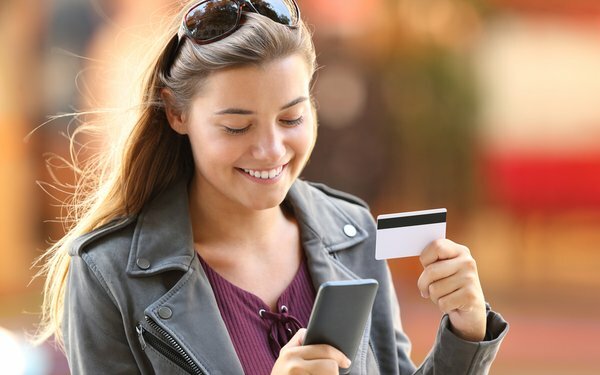 The most common emotions associated with online purchases are happy at 64%, excited at 45% and productive at 44%, according to data released Wednesday. In fact, 27% of consumers are open to additional offers from the same brand after completing an online purchase, and 25% of respondents said they will stay on a website longer following a purchase to receive additional offers. The data -- released Wednesday from Rokt, a global ecommerce marketing company -- suggests that the best time to engage with consumers online is when they are in the buying mood and see confirmation of their purchase flash on the screen. Happiness and other emotions may play a role. About 81% of the 4,000 consumers worldwide participating in the study said they are happiest online when shopping. Productivity also plays into the emotional state. Some 44% of U.S. consumers said they feel productive when making a purchase across the web, compared with 15% on social media. The findings suggest that after completing a transaction 20% are even more interested in signing up to the brand's loyalty program. Bruce Buchanan, chief executive officer at Rokt, is a major fan of loyalty programs, came to the ecommerce marketing company in 2012 from Jetstar Airways, a low-fare airline in Asia with international operations focused on building loyalty between consumers and the brand. The findings also show that U.S. consumers are more engaged at the time the purchase is made compared to when they are completing other online activities. About 51% respondents said they are likely to be multitasking when making a purchase, compared to 71% on social media and 62% when researching products. When asked about their frustration relative to different activities, 13% of U.S. consumers said they felt frustrated on social media, compared to only 3% of consumers feeling frustrated when shopping online. When asked about anxiety, 18% of U.S. consumers said they feel anxious when on social media compared with only 12% when completing a purchase from an online store. Apparel is the most popular category of purchases for U.S. respondents, with 49% of those surveyed recently having bought clothing items in the past two weeks. This was followed by beauty and personal care products at 35% and groceries at 32%. Over three quarters of U.S. shoppers buy online more than once a month, with 18% of those shopping online once a week. And three-times as many people choose online shopping over in-store as their preference.